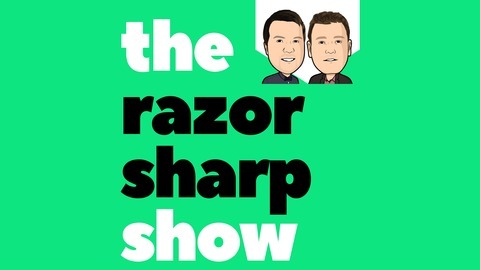 Based on the seventh habit of highly effective people by Stephen Covey – Sharpen the Saw – the Razor Sharp Show is a podcast for business owners and creatives who want to ‘stay sharp’. It’s all about education, inspiration and motivation – to help you reach your goals and make a positive impact in the world! Covering a variety of business, marketing and personal development topics, and sharing some insights into the world of podcasting, your hosts Ray Milidoni and Matt Romania interview experts and action takers to educate, motivate and inspire YOU. Podcast guests include Michael E. Gerber, John Lee Dumas, The Merrymaker Sisters, Nathan Chan, Monica Wulff and many others. 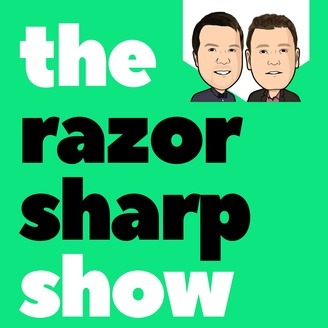 Subscribe and listen to the Razor Sharp Show so you can stay sharp. A special edition of the Razor Sharp Show, Ray and Matt share their personal business fails and wins.